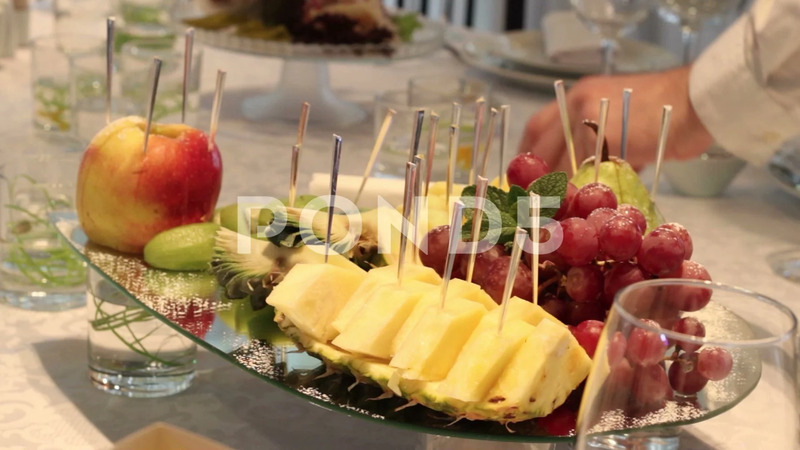 Description: Different fresh fruits on wedding buffet table. Fruits and berries Wedding table decoration. Buffet reception fruit wines champagne. Wedding table decoration.